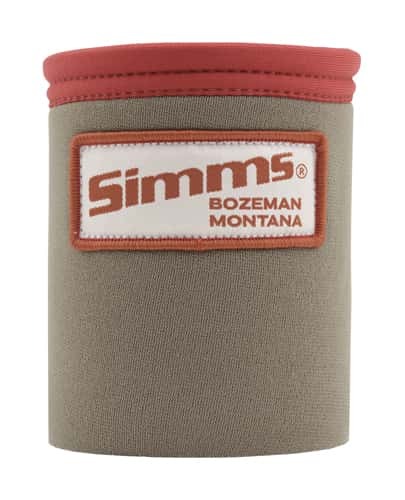 The Simms Wading Drink Sleeve is a wading sleeve for your drink by Simms that provides fly-fisherman with a very well made sleeve for you to store your soda cans during your fly-fishing adventures. This wading drink sleeve is designed with 4mm neoprene with a hook and loop webbing strap that is designed to attach to wading belts and bags. This Simms Wading Drink Sleeve is the perfect compliment if you are in need of a quality drink sleeve and Simms has made this wading drink sleeve in style and it's very convenient and is made to easily attach to your wading belt or your fly-fishing bags. So if you are looking for a feature-rich wading drink sleeve, then you have surely found it with the Simms Wading Drink Sleeve.